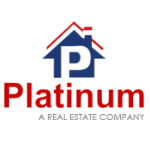 Platinum group was founded by Shri Swatantra Gupta and Shri Vijay Mehta in 2006 with a vision to create landmarks in real estate. Since then the company is progressing in this direction and is bound to be a world class construction company. Mission: It is our mission to construct dreams into comfortable and astounding homes and residential complexes. We are also committed to achieve engineering feats by building beautiful edifies and landmarks for prosperity. Shri Subhash Gupta of Kiran Modes (a star export house) and Mr. Rishi Mehta a Chartered Accountant by Profession are actively putting their efforts to take the group to newer heights. The team of experienced and qualified professionals is devoted for execution of projects ensuring quality and customer satisfaction.